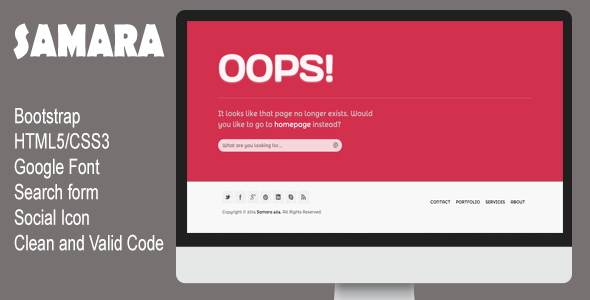 Samara -is responsive, simple, clean and modern look 404 not found page. This template is Valid Html. You can easily edit that. Customer satisfaction is our top priority, don’t hesitate to contact us using the contact form on our profile page if you require any assistance. Will try to reply within 24 hour.